A negligent operation criminal citation is not just a traffic ticket, it is a criminal offense. An arrest or citation for negligent operation of a motor vehicle (also known as “driving to endanger”, “operating so as to endanger” or generically reckless driving) is, in fact, a fairly serious criminal offense. Charges like this are far more than a “ticket” (even when you are handed a citation by the officer) and shouldn’t be handled without the help of a local Massachusetts defense attorney. I have personally defended many cases like this, with excellent results for my clients. Quite often, I can make this charge go away at a clerk’s hearing. I’ve used a wide variety of winning defense strategies at these hearings, detailed below. The police may decide to charge you with a criminal driving offense like negligent operation or operating to endanger for a variety of reasons, although they are all subjective on the part of the police officer. You may be accused of speeding and cutting people off or riding too closely. Or a criminal citation can often result from an accident where the officer determined you were substantially at fault. There isn’t just one situation that leads to charges like these – a “neg op” can be applied in a variety of situations at the discretion of the police officer. If the prosecution can prove that you “acted negligently or recklessly in a manner that endangered people in a public place or roadway” (or private area where the public was invited) you can face these charges. Both negligent operation and driving to endanger are considered misdemeanors. When facing a charge like this, you are at risk of a criminal record if found guilty. This isn’t simply a minor fine that will just go away. You could carry this record forever unless we take action now to deal with it. But the good news is that there are many ways to win these cases, and often, make them go away completely at a clerk magistrate’s hearing. Criminal misdemeanor charges for reckless driving, or “Operating Negligently so as to Endanger the Lives and Safety of the Public” can lead to up to 2 ½ years in state jail and large fines. You are also likely to face a suspended or revoked license, depending on your driving record. While jail time for a driving offense is very rare, remember this is a criminal charge, not a traffic ticket. Driving to endanger, or operating a motor vehicle so as to endanger is another criminal traffic offense, which is typically a misdemeanor criminal charge. The statute says the penalty can include jail time although the risk of jail is very unlikely except in extreme circumstances. Drag racing is a separate criminal offense under Massachusetts statutes, and will often be charged in addition to an operating to endanger citation. It carries the same maximum penalties of up to 2 1/2 years in jail and fines of $1000. In addition, there is a license loss of at least 30 days. The license suspension for a minor on a junior operator’s license is 180 days. If the police officer thinks you were evading the police, or didn’t stop quickly enough, they sometimes charge you with failure to stop in addition to negligent operation of a motor vehicle. Often this is a misunderstanding, or you didn’t see the officer’s blue lights. We’ve also had cases where our clients were pulled over by unmarked cars without obvious markings or lights, or even off-duty police officers in their own vehicles, so they had no idea it was a police officer following them. What type of Incidents Result in a Negligent Operation? It is essentially the police officer’s discretion to issue a criminal citation for these charges. If the police officer witnessed the driving, it can result in an arrest. If the officer arrives after the incident, and there is evidence of damage, skid marks, or other facts suggestive of dangerous driving, he will issue you a criminal citation for which you will have to appear at a clerk magistrate’s hearing. 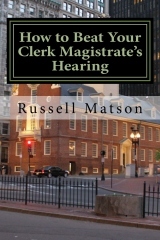 Most negligent operation charges without any additional offenses start with a citation to a clerk magistrate’s hearing (show cause hearing). There are a number of excellent defense options for these cases. If you are to appear at a Clerk Magistrate’s hearing, it is often possible to get the case dropped without any criminal record. Lack of evidence. If you truly are not being treated fairly and the cop overreacted, then we can argue that the evidence for negligent operation is too thin to support the charge. This isn’t always the best tactic, since the police prosecutor is rarely willing to agree that his officer was wrong, and the standard of proof for cause isn’t very high. The cops word against yours doesn’t always get it done, even if you are right. But we can discuss this in the specific context of the facts of your case (see disputing the facts, below). Online driver safety course. We often recommend that our clients get a certification of completion of a driver’s safety course online before a Clerk Magistrate’s hearing date. It shows initiative, that you have learned something, and are taking the incident seriously. Typically a magistrate will agree to drop the criminal charge in exchange for the completion of an online driver safety course, either before or after the hearing. Proof of completion will be necessary. Clean driving history. If you don’t have any poor driving history, recent speeding tickets or moving violations, I will argue that this incident was a rare mistake or exercise of poor judgment that is unlikely to be a continuing problem, and doesn’t warrant a criminal charge. Risk of harm from criminal record. If for any reason, a criminal charge would have an undue burden on your future job prospects or other opportunities, I will argue that going forward and imposing criminal sanctions is not in the interest of justice or fairness. If you are underage and driving on a junior operator’s license, the magistrate or judge is likely to be tougher and want to send you a message about safe driving. We will likely need some extra evidence that you recognize the seriousness and the danger of your behavior. A stern witness statement from your mom or dad at the hearing, and evidence that you are otherwise an upstanding student and citizen who made a one-time crazy mistake might. A stern witness statement from your mom or dad at the hearing, and evidence that you are otherwise an upstanding student and citizen who made a one-time crazy mistake might be part of that strategy to avoid a long license suspension. We may want to you take The SCARR or (Driver Attitudinal Retraining Course) in advance BEFORE being asked to, in order to show your seriousness and remorse. But we can discuss that in your consultation. Sometimes the officer chooses to arrest you for a negligent operation or an operating to endanger charge. This can happen in the more egregious cases of dangerous driving witnessed by the police. It is also possible to receive a summons directly to an arraignment on a negligent operation charge. If you are to be arraigned, we can often work out a good deal the day of the arraignment, or attempt to get the case dropped on the spot prior to arraignment. If you have been arrested or already arraigned and charged, there are still a number of other options in your defense, or to work out a favorable deal. It is still possible to get the charge dismissed for court costs, even if you have been formally charged. I have also worked out favorable deals for pretrial probation, which means the charge will go away in 6 months. This is still a very good deal, and keeps your record clean. If you do not have any prior related offenses, and a decent driving record, we can very often get a Continuance Without Finding on a negligent operation or reckless charge. Also known as a CWOF, this plea arrangement allows you to serve probation and technically avoid a guilty plea though it is the same as admitting to sufficient facts to find you guilty. But if asked if you have been convicted of a crime, you can truthfully say no, after a CWOF. The penalties you face and how we address the charges in court depend largely on the specific circumstances of your case. No two reckless driving cases are alike and I need to know more details about your charges before I can suggest your best options in court whether it is to fight the charge at trial or work out the best plea deal possible. The statutes for driving negligently are open to significant interpretation and opinion. This means we can often claim that the police officer or witness made a mistake or overestimated the danger of the driving behavior. And after reviewing the facts in the police report, it is also possible to get the charges dropped altogether. I’ve read literally hundreds of police reports alleging negligent operation, so I know how to break down what sounds like a beatable case and what doesn’t. I will challenge the evidence against you to ensure you are getting every shot at absolution possible. The primary goal in reckless or negligent operation cases is to remove the threat of a criminal conviction on your record. Contact me today to discuss your chances at a CWOF or a dismissal of the charges against you. I will gladly give you a free consultation, some valuable legal advice, and the benefit of my extensive experience in matters like this. We fight for clients accused of negligent operation charges, whether it is just a single charge, or an element of a more complicated incident, such as an OUI charge. Give me a call today and I’ll let you know how I can help, and exactly what I think the best option is for your exact situation.